Every fall, the men of Loyalty Island sail from the Olympic Peninsula up to the Bering Sea, to spend the winter catching king crab. Their dangerous occupation keeps food on the table but constantly threatens to leave empty seats around it. To Cal, Alaska remains as mythical and mysterious as Treasure Island, and the stories his father returns with are as mesmerizing as those he once invented about Captain Flint before he turned pirate. But while Cal is too young to accompany his father, he is old enough to know that everything depends on the fate of those few boats thousands of miles north. He is also old enough to feel the tension between his parents over whether he will follow in his father's footsteps, and to wonder about his mother's relationship with John Gaunt, owner of the fleet. 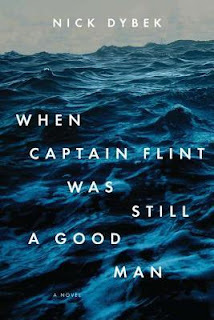 When Captain Flint Was Still A Good Man had a brilliant concept, and although it wasn’t my usual genre choice, I am always taken by a book that manages to still engross me in a story-world that I could learn to love. One of my favourite things about Nick Dybek’s book was the dialogue between the children, that came across so adult that it showed growth in the characters across the rising suspense. The setting was well drawn, a place I could see as I read more—painting a scenic element of your average thriller, though fragments of dilemmas and unforgettable actions in the best way possible. 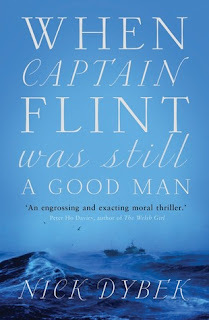 Cal was a very intricate character, who had a father that felt like a stranger to him, and that showed the emotion that carried the novel into a fast-moving, tragedy that was a shockingly great read. 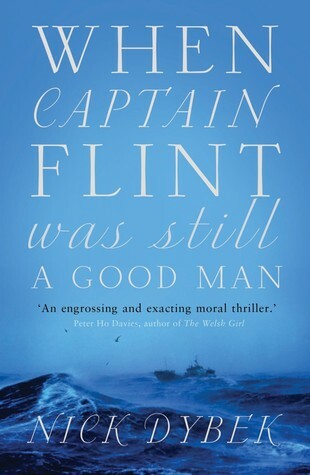 Many thanks to lovereading.co.uk and Corsair for gifting me a copy of this fantastic novel!